Re-imagined. All New. REady to Move you. THE QS7 has been reengineered from the bottom up. This beauty features an all-new innovative powerband configuration which enhances the performance of the machine and increases safety of the user. 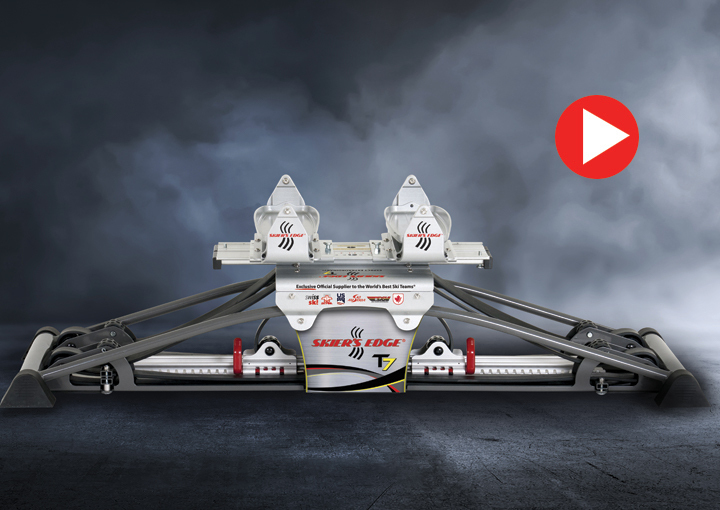 The larger profile of the base and carriage provide increased stability. Our patented rail design uses high quality aircraft aluminum, providing a tough finish with outstanding corrosion protection, resistance to wear and it's easy to keep clean. The carriage glides effortlessly utilizing custom made wheels designed to perfectly match the QS7 rails. You'll feel like you're skiing five inches of new powder on a corduroy base. So smooth you won't want to stop. Learn more. PREMIUM PERFORMANCE is the best way to describe the QS7. 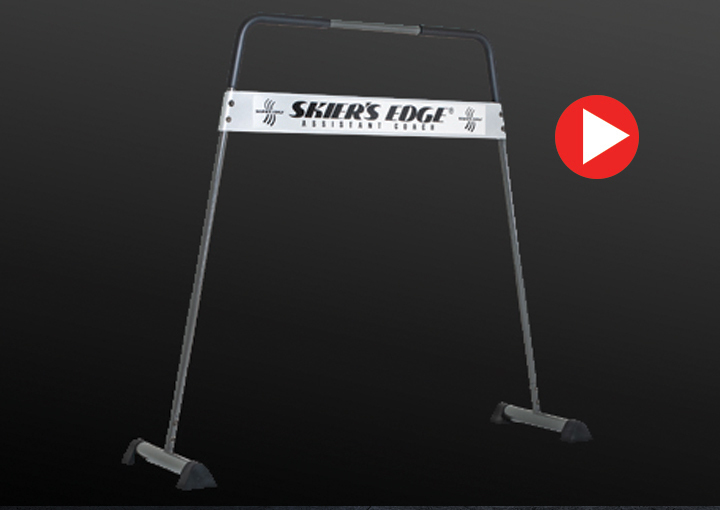 It's the ultimate Skier's Edge machine. You will see and feel the difference in your skiing/fitness abilities and overall lifestyle! THE T7 sets the standard for Skier's Edge machines. We've taken the best selling machines of the past 30 years and re-engineered them top to bottom. Featuring our all-new powerband configuration that's enhanced with more bands creating more safety, better performance and amazing feel. 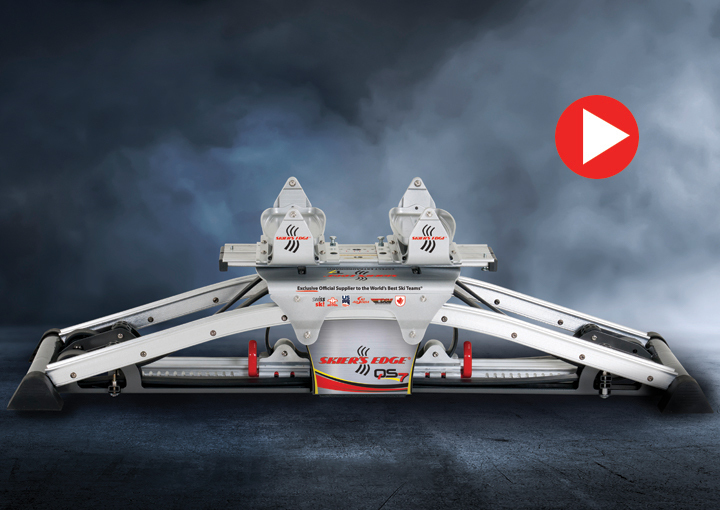 The increased size of the steel base and carriage make for a more stable platform for intense workouts and quick movements. Designed with the skier in mind, the new T7 combines premium quality construction with precise lateral movements to perfectly simulate skiing. There's nothing like the T7 on the market. Customize your machine to fit your goals and feel better than you've ever dreamed! Learn more. The name says it all. The All Mountain Master (AMM) is versatile, easy to use and simulates different styles of skiing. Skiers will develop power and endurance in addition to building a solid cardiovascular foundation. Learn more. 6 adjustable settings ranging from a narrow mogul stance to a wide carving stance and a single leg setting. Adjust stance settings in 2-3 minutes. 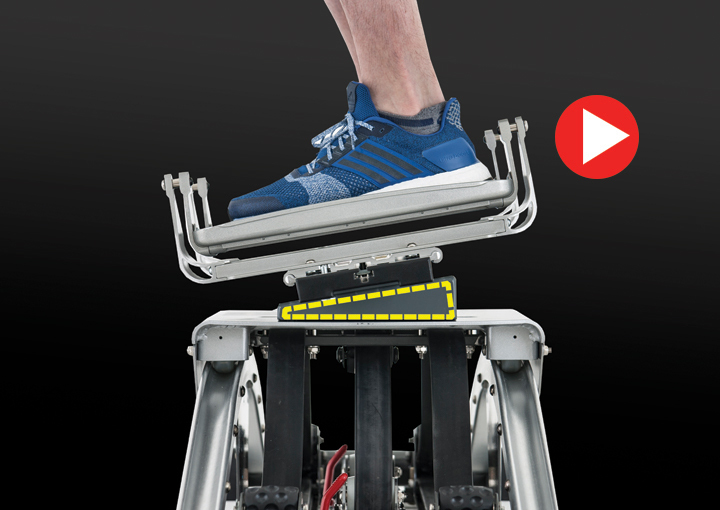 The RPM is our most popular and versatile platform. Learn more. 8 adjustable stance settings ranging from a narrow mogul stance to a wide carving stance and a single leg setting. Adjust settings in 20-30 seconds. Required for the BootMaster accessory. Train in your ski boots! 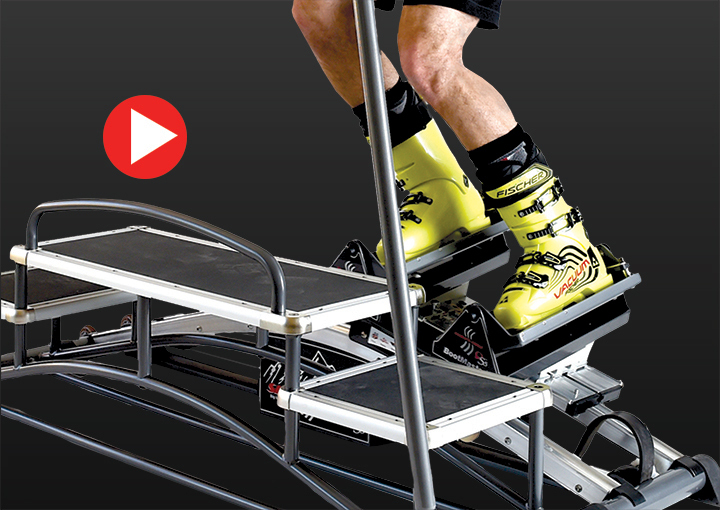 The Skier's Edge BootMaster is the ultimate workout for skiers. It's an intense exercise for those ski specific muscles that "scream" your first couple weeks of skiing. The muscle memory conditioning translates perfectly to the slopes. The BootMaster footpads connect perfectly to your ski boots (toe shim and heel retainer). Learn more. Available for the QS7 model only. Duplicates the feel of the mountain. Available for the All Mountain Master platform and RPM platform. "Get out of your backseat!" has probably echoed up the slope at some point in your skiing career. Whether an experienced or beginner skier - leaning back is probably the most common mistake. With the Natural Slope you'll get dynamic balance while training in an aggressive forward position. Learn more. Increases intensity of leg workout. Keeps your weight over the middle of your skis giving you more control. Muscle memory that transfers to the slopes. The Assistant Coach Balance Bar can be added to any QS7 or T7 machine. The bar is ideal for individuals who prefer additional support while working out. It's the perfect choice for the entire family. When you want to use the poles, all you need to do is turn around on the machine and face the opposite direction. Learn more. 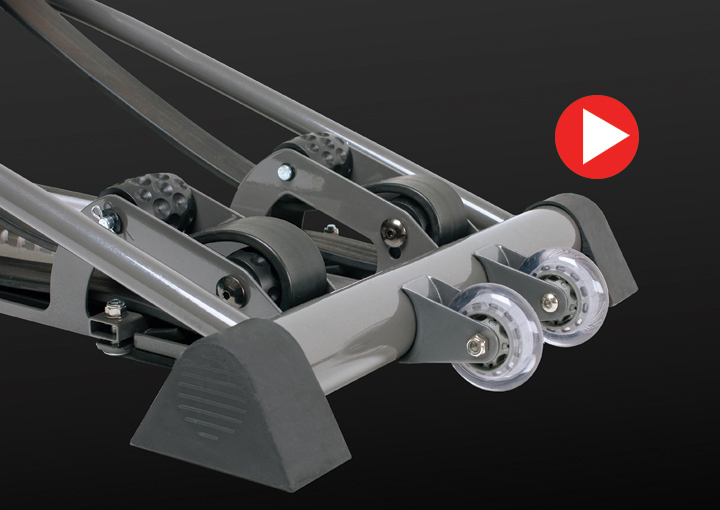 Moving your Skier's Edge around couldn't be easier with the Transport Wheels. These durable wheels are equipped with precision bearings for smooth rolling action. The Transport Wheels make it easy to store your Skier's Edge when not in use. Learn more.